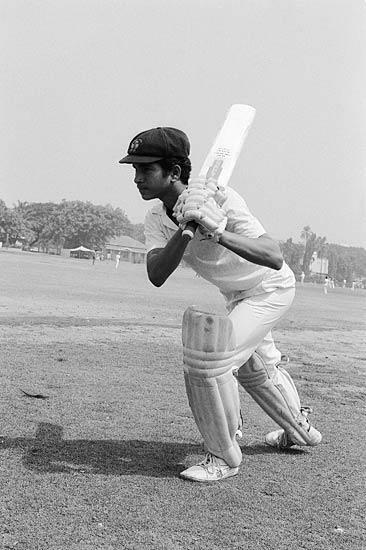 Sachin Ramesh Tendulkar is an Indian cricketer widely acknowledged as one of the greatest batsmen in One Day International and second only to Don Bradman in the all time greatest list in Test cricket. 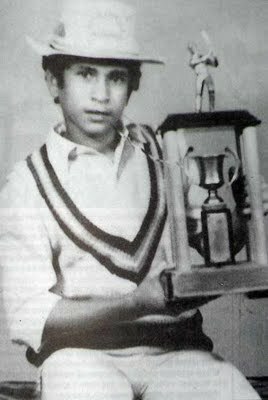 Sachin Tendulkar was a part of the 2011 Cricket World Cup winning Indian team in the later part of his career, his first such win in six World Cup appearances for India. He was also the recipient of "Player of the Tournament" award of the 2003 Cricket World Cup held in South Africa. 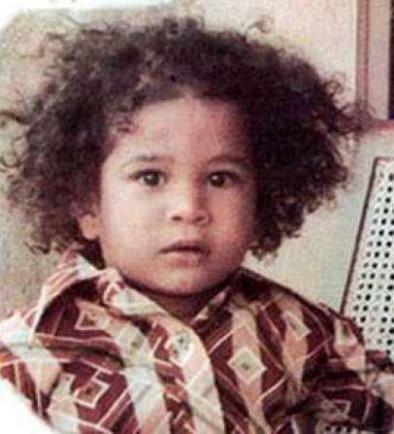 Sachin Tendulkar was born on 24 April 1973 into a Rajapur Saraswat Brahmin family in Bombay (now Mumbai). 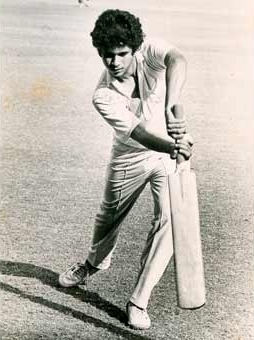 His father Ramesh Tendulkar was a reputed Marathi novelist and his mother Rajni Tendulkar worked in the insurance industry. 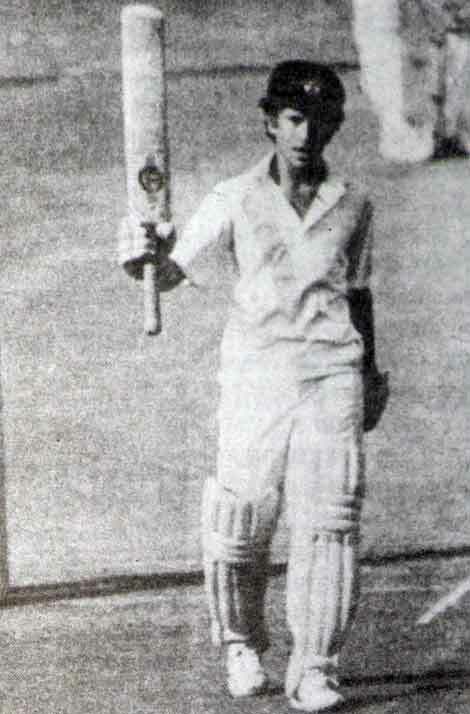 Ramesh named Tendulkar after his favourite music director, Sachin Dev Burman. 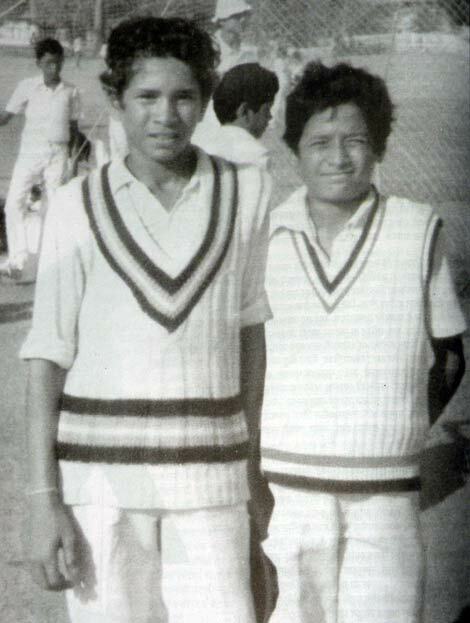 Tendulkar has three elder siblings: two half-brothers Nitin Tendulkar & Ajit Tendulkar, and a half-sister Savita. 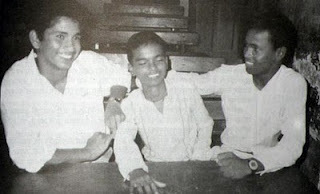 They were Ramesh's children from his first marriage. 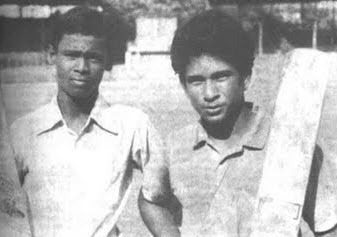 On 24 May 1995, at the age of 22, Sachin Tendulkar married Anjali, a paediatrician and daughter of Gujarati industrialist Anand Mehta and British social worker Annabel Mehta. 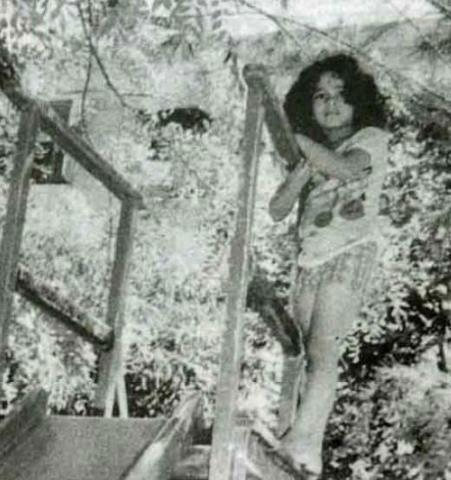 Anjali is six years elder to Sachin. 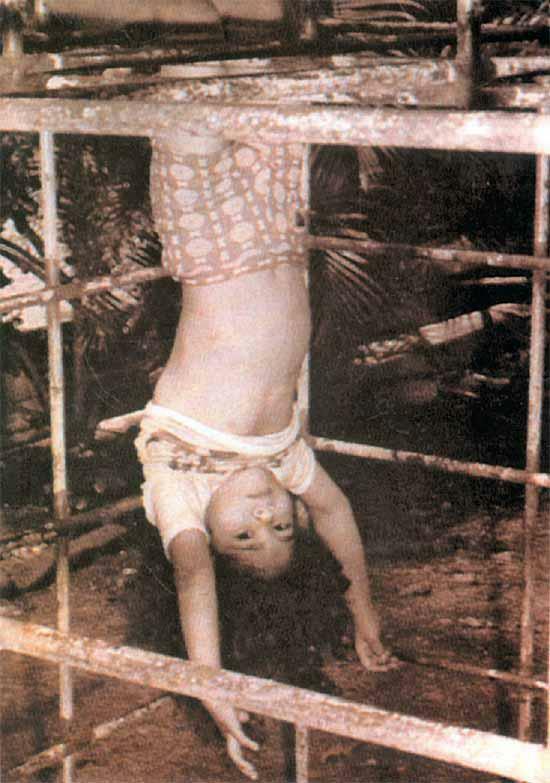 They have two children, Sara Tendulkar (born 12 October 1997) and Arjun Tendulkar (born 24 September 1999). 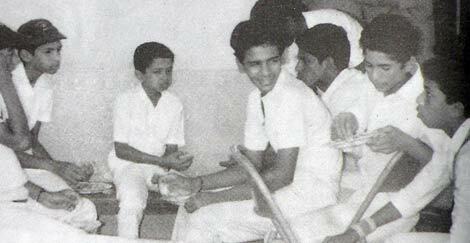 Sachin Tendulkar spent his formative years in the Sahitya Sahawas Cooperative Housing Society, Bandra (East), Bombay. 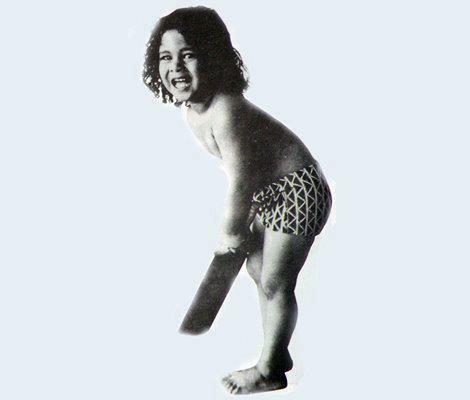 Ajit Tendulkar introduced him to cricket in 1984. 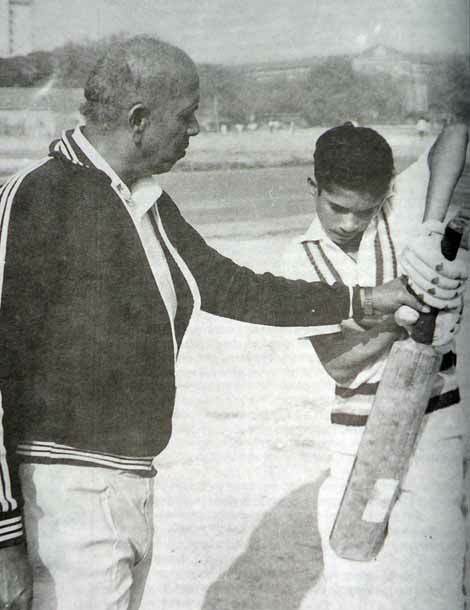 He introduced the young Sachin to Ramakant Achrekar, a famous cricket coach of Bombay and a club cricketer of repute, at Shivaji Park, Dadar, Bombay. 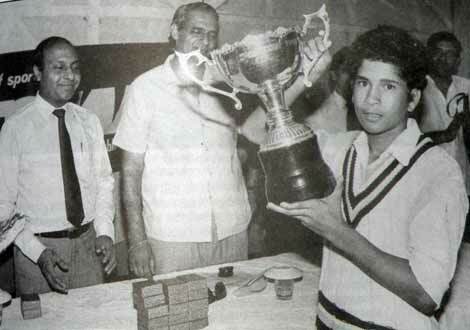 Ramakant Achrekar was impressed with Tendulkar's talent and advised him to shift his schooling to Sharadashram Vidyamandir (English) High School, a school at Dadar which had a dominant cricket team and had produced many notable cricketers. 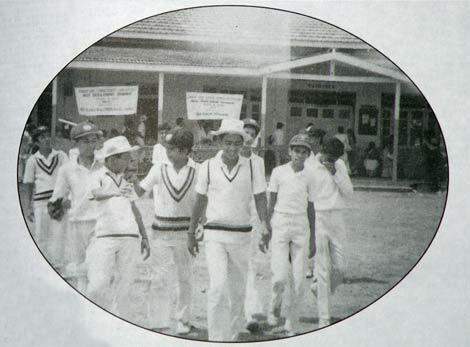 Prior to this, Tendulkar had attended the Indian Education Society's New English School in Bandra (East). 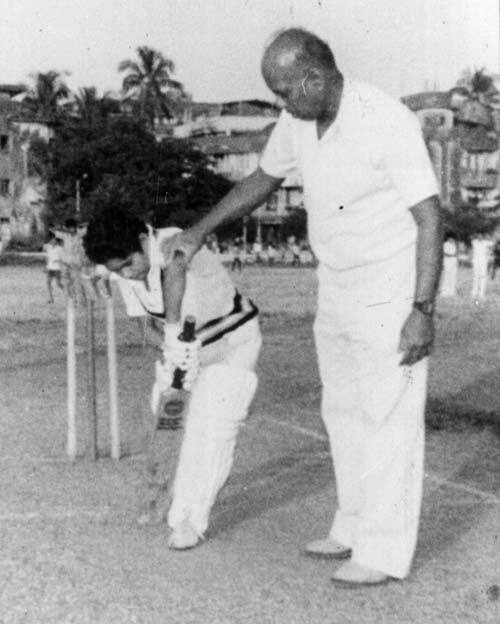 He was also coached under the guidance of Achrekar at Shivaji Park in the mornings and evenings. 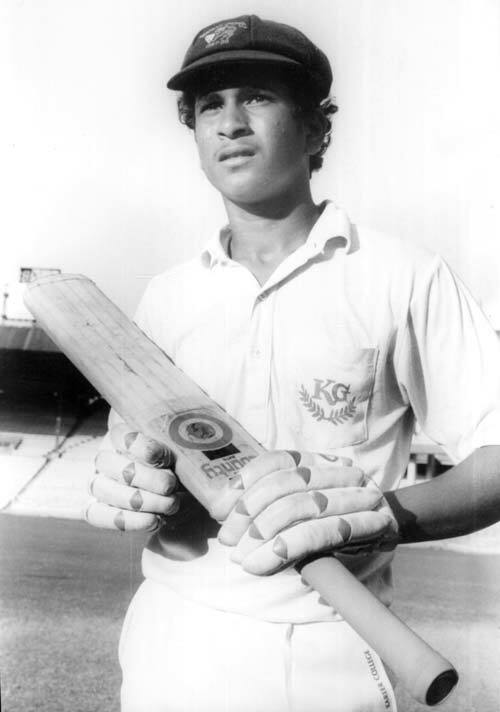 On 14 November 1987, Sachin Tendulkar was selected to represent Bombay in the Ranji Trophy, India's premier domestic first-class cricket tournament, for the 1987–88 season. 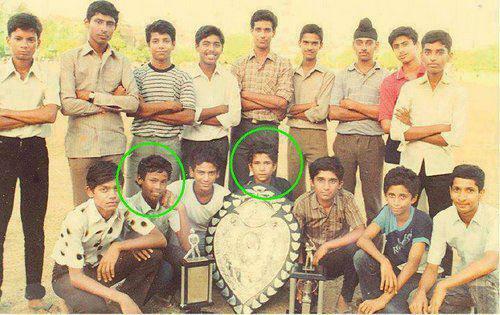 However, he was not selected for the final eleven in any of the matches. 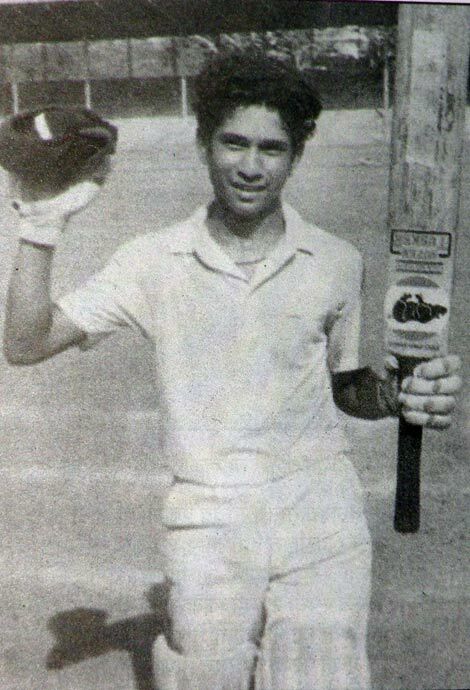 A year later, on 11 December 1988, aged just 15 years and 232 days, Tendulkar made his debut for Bombay against Gujarat at home and scored 100 not out in that match, making him the youngest Indian to score a century on first-class debut. 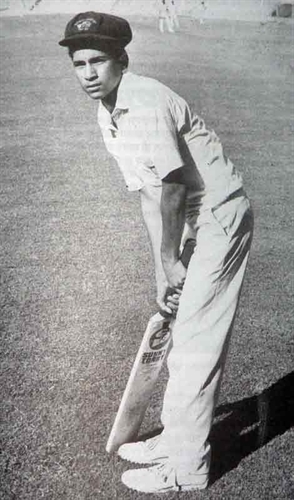 He was handpicked to play for the team by the then Mumbai captain Dilip Vengsarkar after watching him easily negotiating India's best fast bowler at the time, Kapil Dev, in the Wankhede Stadium nets, where the Indian team had come to play against the touring New Zealand team. He followed this by scoring a century in his first Deodhar and Duleep Trophies, which are also Indian domestic tournaments. 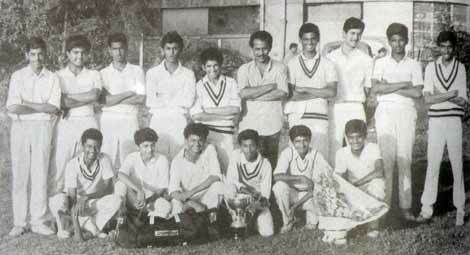 Sachin Tendulkar finished the 1988–89 season as Bombay's highest run-scorer. 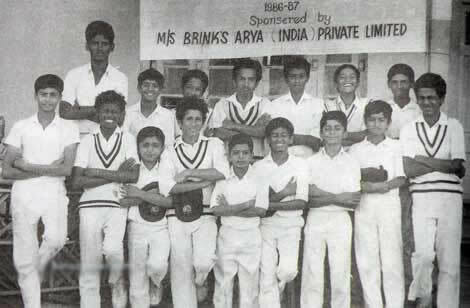 He also made an unbeaten century in the Irani Trophy match against Delhi at the start of the 1989–90 season, playing for the Rest of India. 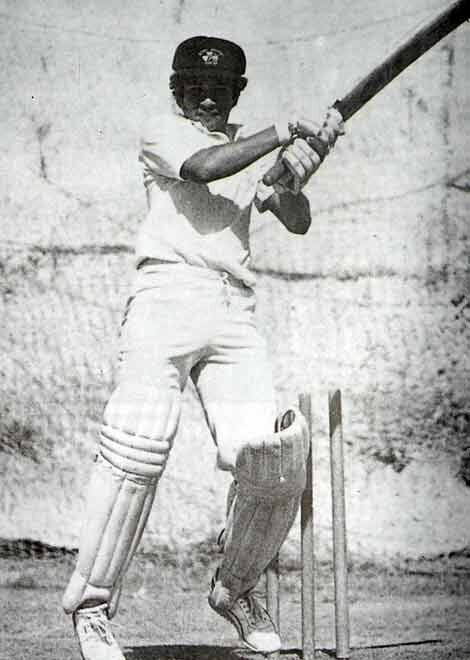 Raj Singh Dungarpur is credited for the selection of Tendulkar for the Indian tour of Pakistan in late 1989, and that also after just one first class season. 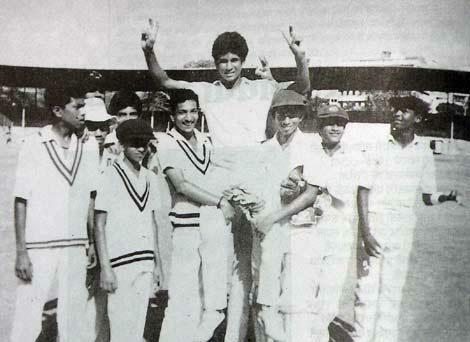 Tendulkar made his Test debut against Pakistan in Karachi in November 1989 aged just 16 years and 223 days. 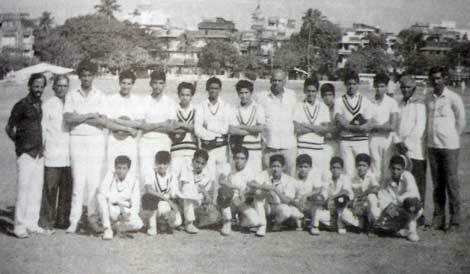 Sachin Tendulkar's rise continued when he was the leading run scorer at the 1996 World Cup, scoring two centuries. 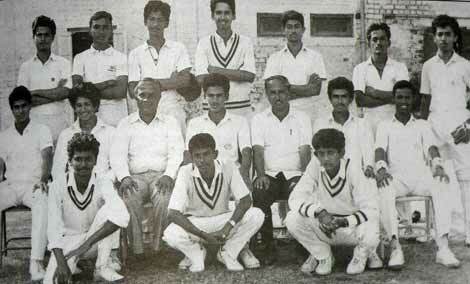 Sachin Tendulkar's two tenures as captain of the Indian cricket team were not very successful. 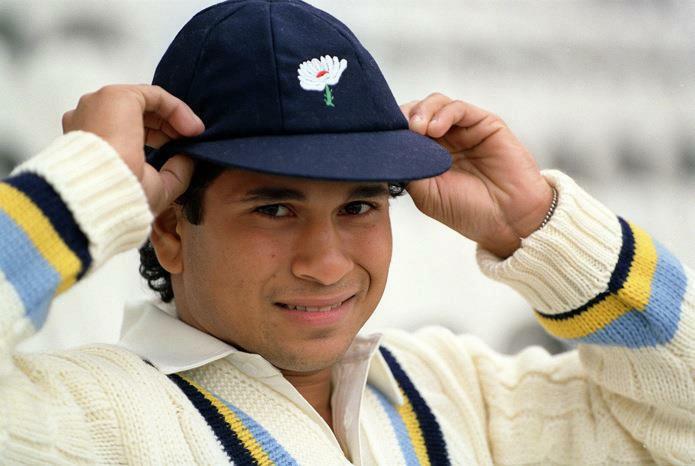 When Tendulkar took over as captain in 1996, it was with huge hopes and expectations. However, by 1997 the team was performing poorly. 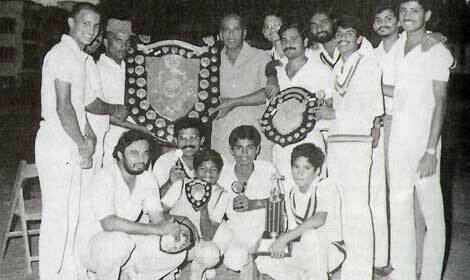 Sachin Tendulkar, succeeding Azharuddin as captain for his second term, then led India on a tour of Australia, where the visitors were comprehensively beaten 3–0 by the newly crowned world champions. 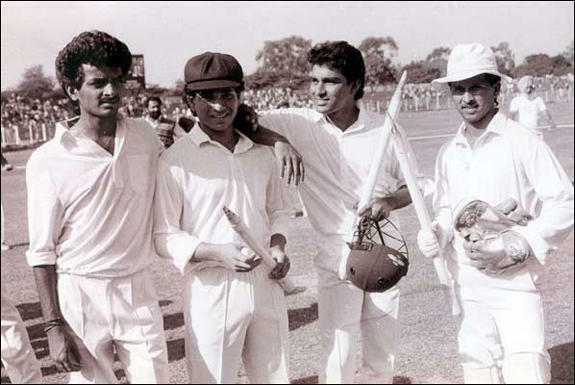 After another Test series defeat, this time by a 0–2 margin at home against South Africa, Tendulkar resigned, and Sourav Ganguly took over as captain in 2000. 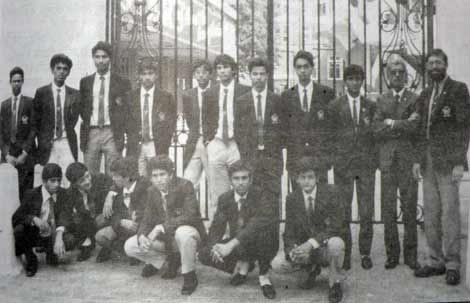 Sachin Tendulkar remains an integral part of the Indian team's strategic processes. He is often seen in discussion with the captain, at times actively involved in building strategies. 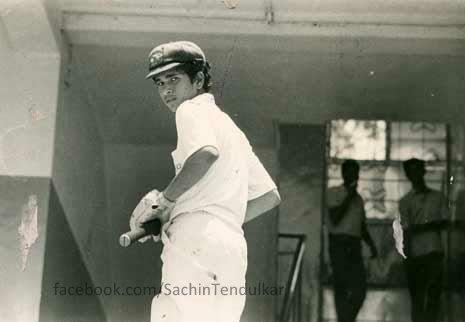 Sachin Tendulkar continued performing well in Test cricket in 2001 and 2002, with some pivotal performances with both bat and ball. 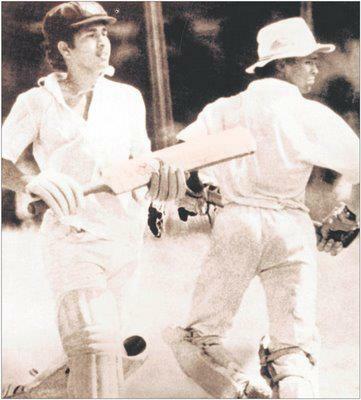 During the period from about 2002 to 2006–7, Sachin Tendulkar's batting often seemed to be a shadow of its former self. He was inconsistent, and his big knocks mostly came in sedate, accumulative, uncharacteristic fashion. 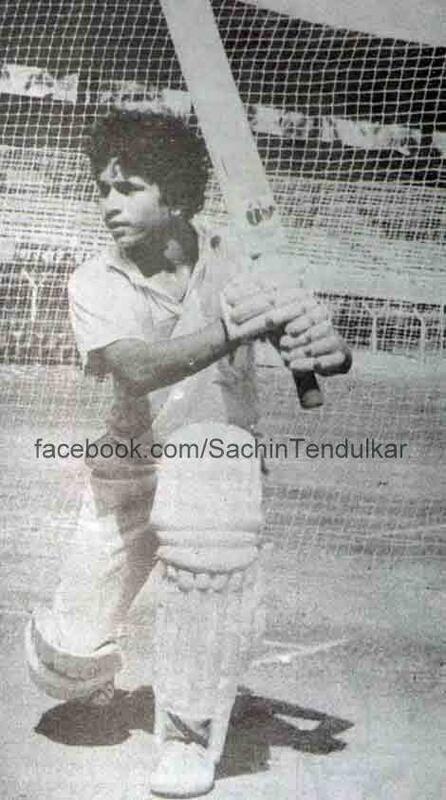 Sachin Tendulkar has also consistently done well in Cricket World Cups. 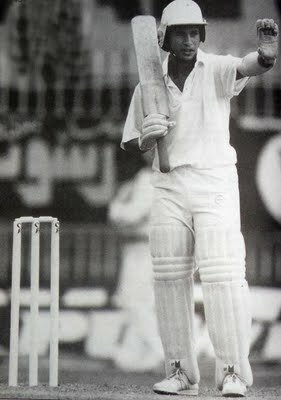 Tendulkar was the highest run scorer of the 1996 Cricket World Cup and 2003 Cricket World Cup. 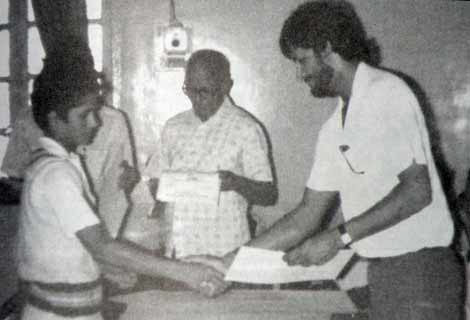 Sachin Tendulkar has retired from ODI cricket in 2012.